Representatives of the diplomatic corps in Ukraine celebrated the International Day of the World's Indigenous People together with the Crimean Tatars. 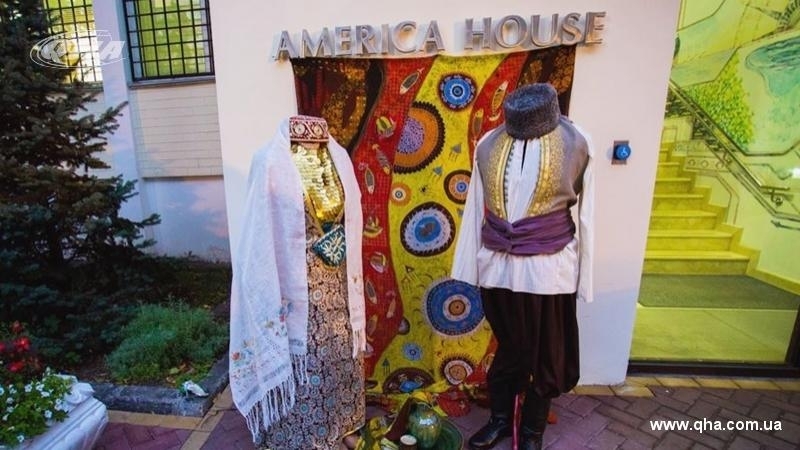 On August 9, the Mejlis of the Crimean Tatar people, the Ministry of Information Policy and the American House held a cultural evening Qırım akşami on the occasion of the International Day of Indigenous Peoples of the World. “The event, which we are holding today with our partners from the American House, is dedicated to the celebration of the International Day of Indigenous Peoples, marked on August 9, at the official level. This is another event from the point of view of promoting and enlightening the culture of the indigenous people of the Crimea - the Crimean Tatars ... It is important for me to bear this symbolism through myself. This is an attempt to demonstrate that, the indigenous people exist! They have their own culture, history and traditions," co-organizer of the evening, Acting Minister of Information Policy Emine Dzheparova said. Apart from a pleasant opportunity to chat, guests of the evening were able to learn more about the original culture of the Crimean Tatars. The highlight of the event was performances by People's Artists Lenara Osmanova, Alie Hajabadinova and Elsara Batalova, who won the guests with their fiery dances. The ethno-costumes and household items of the Crimean Tatar people from the public organization Alem were presented to the guests, as well as an exhibition about the ethnogenesis, history and culture of the Crimean Tatar people, prepared by the Estonian Institute for Human Rights, the Ministry of Information Policy of Ukraine, the Crimean Tatar Resource Center with the support of the Ministry of Foreign Affairs of Estonia. The organizers stressed that the event was held within the framework of the project of the Crimean Tatars public diplomacy.